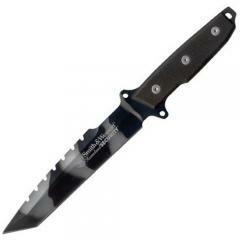 I love this knife I would definitely buy one again This knife is super sharp right out of the box Plus it comes with a nice stone sharpener and a nice sheeth. Although a bigger sharpener would be recommended, just so the user doesn't cut themselves when sharpening the knife. But overall this is a fantastic knife.